We were learning about the Christmas Story. Mrs Wiggam read the story to us and then we acted out the story. 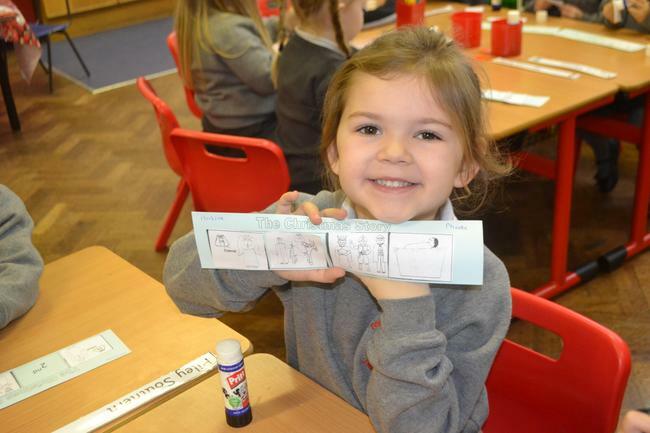 We then completed a sequencing activity based on the story.